We are proud to provide the finest in the design of outdoor living spaces since 1979. Our focus is the creative blending of all landscape components which include elegant decks, water features, porches, sculptures, pools, cabanas, plantings and hardscaping, for an integrated visual adventure. Functionality and aesthetics play equal roles in our very personal design process. We design high-quality, green, prefabricated stand-alone home offices and studios. YardPods have 4ft wide panels, complete with doors and windows, insulation and interior and exterior finishes. 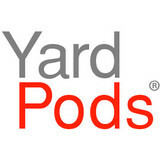 YardPods are customized for each owner, are normally 120sq ft or less and do not usually need permits. Welcome to Tarantino's Yardscapes, where quality & service come together. We specialize in custom residential applications. Our team is expertly skilled at designing and installing. We also pride ourselves in a variety of garden, lawn and plant theme designs and installations. Our goal is to help transform your yard into a destination. We have found how amazing of a transformation can take place by combining a little rock/concrete and wood with a yard full of selected plants. 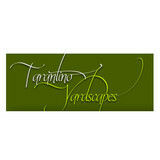 The results are called Yardscapes. 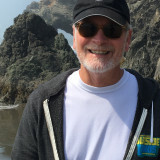 Design by Dean, owned and managed by Jeff Dean and Monica Dean, was established in 1995 and has been providing innovative design ideas, quality construction and outstanding customer satisfaction ever since. Our customers particularly value our space improving suggestions and our impeccable communications. We are located in Sebastopol, CA. and are currently serving the North Bay Area. Together, Jeff and Monica manage a team of professionals who put quality construction and customer service at the top of their priorities list. They invite you to read what their customers are saying about Design by Dean and believe that the testament of satisfied customers speak volumes about the quality of work and superior customer service that you will receive, when you work with Design by Dean. We invite you to learn more about us by exploring our site and viewing some of our projects presented in our portfolio. We look forward to working with you to help create your dream environment. Deome 2 Builders Inc. is general contracting company that specializes in exterior deck installations, patio covers and arbors. We are highly knowledgable in all species of wood decking and most composites Like TREX, Timbertech, and Fiberon . We are a family owned business that uses no subcontractors and is fully licensed and insured. We have an A+ rating with the BBB, an Angies List A-Rated company, a Trex Platinum Installer, a Fiberon Pro Installer and a Timber Tech Elite Installer. TD Construction is a construction company serving primarily in the Contra Costa and Alameda counties with two main focuses. The First is the specialization in back yard pavilions, patio covers, pool houses, arbors pergolas and decks. Our focus is custom wood and wood composite structures tailored to each customer's individual needs and taste . The second is the home remodeling division for which TD Construction has over 35 years of experience meeting customers needs and exceeding their expectations. TD Construction was founded on the principle of quality work and customer service at the highest level. We have designed and built our patio covers, pool houses, pavilions, arbors, decks and trellis's as if they were going into our own back yards. Attention to detail is the key to a spectacular finished product. Our structures are built to last. Our structures can be finished with lighting, fans, stucco, masonry, sun shades, televisions you name it. Let us build your back yard paradise and you can become one of a growing number of TD Construction fans. Experience what it is like to work with an award-winning construction company with a reputation for strong customer service. Our business grew from a motivation of wanting to be the best contractor in Contra Costa County. We have been successful in starting and creating the best wood restoration business in the bay area. The business was started when a friend came to me and told me about a restoration job that was done on his deck that he was not satisfied with. I looked at the project and decided that I could do a much better job than the previous contractor. That is when we decided to go full time on the wood restoration business. Fine Line Renovations was established in 1995. Year one we restored 22 decks. Then in year ten we restored 312 decks in one season. With our exclusive wood restoration process we achieve quality results every time. With our maintenance program we can keep our customers decks looking clean and fresh for years to come. We also offer design and build service for new deck installations. We can build redwood decks as well as the new composite and vinyl decking materials. Renew Crew Painting is focused on Deck restoration and maintenance along with interior painting and floor coatings. Your most prized living and storage areas can be beautifully enhanced to keep up the joy of ownership. We want you to love your spaces. 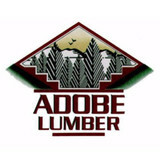 While other stores sell you construction supplies, Adobe Decking Center provides you with a complete decking experience. Whether you are looking to update an existing deck or connect indoor leisure to the outside of your home; Adobe Decking Center has the quality, style, and expertise to make your project beautiful. We understand that the deck is in the details, and are here to help you plan out the best decking decisions for your home from the moment you enter our warehouse. Located in American Canyon, the gateway to Napa Valley, Adobe Decking Center is a premier Northern California decking resource. Not only can you choose from a wide variety of top quality decking, railings, and hardware; but you can also obtain the decking information that you need in a relaxed, expert environment. Come and enjoy our eight different, complete, indoor deck displays in our showroom. From rustic to regal and simple to sophisticated, we have a unique setup that is right for your home. No matter what your level of expertise or construction needs, Adobe Decking Center will take care of your project with quality and style. Now you can have stylish and durable outdoor wicker patio furniture that won’t break your budget. Select from a wide variety of designs, styles, fabrics and colors to fit your tastes. Best of all, maximize your purchase and save more by packaging complete wicker patio sets that are perfect for your outdoor living lifestyle. High Quality. Current Designs. Factory Prices. When shopping for wicker patio furniture, it’s important to know what to look for in terms of quality and price. Don’t settle for cheap patio furniture. Accept nothing less than high quality wicker - durable enough to withstand the weather without sacrificing style. Speaking of style, our top-notch designers are on the cutting edge of the latest design trends. They create custom designed patio collections that incorporate the most current design styles while maintaining exacting quality standards. In fact, our luxury outdoor furniture features modular and pre-configured seating arrangements that can be easily paired with matching dining sets, wicker chaise lounges and a fire pit to create a complete outdoor living set. Order your next patio set with Design Furnishings and you’ll have the trendiest, high-end outdoor furniture on the block. All while saving money! How Can We Offer Such Low Prices? At Design Furnishings, we offer the highest quality, hand woven, resin wicker patio furniture available. But how do we keep our prices so low? As designers and manufacturers we are able to ship directly from the factory to you - no middlemen and no added handling charges. By removing the high costs associated with retail, like sales commissions and inflated markups, we are able to pass those savings directly to you. It’s factory direct pricing of luxury outdoor furniture. It doesn’t get much better than that! Improve your outdoor living today with high quality, stylish and durable wicker patio furniture at wholesale clearance prices. As always, when you purchase from Design Furnishings your outdoor patio furniture is shipped free within the United States, using the most reliable delivery methods. Your shopping experience begins here. What services do deck and patio builders in Vallejo, CA provide? To help you choose the ideal style, configuration and materials for your deck or patio, your deck and patio contractor will survey your Vallejo, CA lot and your home to come up with a design that complements your exterior as well as being structurally sound. He or she will recommend sizes, heights and construction materials that suit your lifestyle and climate, as well as explain the best stain or finish options. Additionally, deck and patio professionals can provide insight into additional components such as outdoor kitchens, patio covers, fire pits, outdoor lighting, arbors and more. Your deck and patio professional might work closely with another Vallejo, CA lawn and landscape professional. Here are some related professionals and vendors to complement the work of decks, patios & outdoor enclosures: Landscape Architects & Landscape Designers, Garden & Landscape Supplies, Stone, Pavers & Concrete, Landscape Contractors, Building Supplies. Find a deck and patio builder in Vallejo, CA on Houzz.